Spicing Things Up at the PLRB in New Orleans | Hausch and Company | Claim Solutions. Simplified. Hausch & Company is getting ready to spice things up in New Orleans! We are excited to head down south next month for the PLRB Regional Adjusters Conference to network with industry professionals and soak up some New Orleans culture. To get ready for the conference, we’ve been brushing up on our Cajun cooking with some secret ingredients. A secret ingredient is something everything needs. Whether you are cooking a special dish, creating a product, or building your business, you need something extra in order to set yourself apart from the competition and be the best that you can be. Hausch & Company can be that secret ingredient your business needs to propel you to the next level by offering you superior service with simplified solutions. 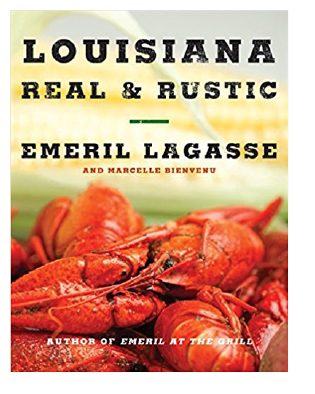 Make sure to stop by and visit us at booth #504 where we will be handing out 20 Louisiana Real & Rustic by Emeril Lagasse cookbooks to the first 20 people that subscribe to our blog. To subscribe, simply enter your email at the top right of this page. The first 20 subscribers will be sent an e-voucher for you to claim your prize at our booth #504. We’ll also have other fun and spicy giveaways with a side of industry expertise. Can’t wait until September? Get cooking Cajun style with this New Orleans BBQ shrimp recipe courtesy of Emeril himself. Hausch & Company has been involved in claims handling since 1948. We are dedicated to professional representation of our clients, to do the job right the first time, and to be a positive reflection of the insurance industry. Our simplified solutions make it easier on everybody during the claim process and ensure that our clients look good at the end of the claim. We offer customized claim solutions for property & casualty, inland marine, transportation, inventory, account services and workers’ comp. Our Goal: To simplify the claim process by providing professional, attentive and prompt service that delivers accurate and comprehensive adjusted claims.